When Tom read the article, he immediately began thinking about the kind of parents it would take to raise these kids. It needed to be an older, mature couple with a good married relationship. There couldn’t be any other children in the home because the needs of these nine would overrun the needs of any other kids. “Who do I know like that?” Tom had wondered out loud. It seemed like no one, but the quesiton just kept coming back to them. Tom and Jean Gaunt already had six children, four of them were their biological children and two of them were adopted on previous occasions. Their older children were grown and out of the house. They had been empty nesters for the past three years. Jean had always dreamed of owning a bed and breakfast and nine months before, they had finally purchased their dream home. Jean dreamed of their bed and breakfast, but God had other plans for their new home. A few weeks later, while Tom and Jean were still considering the adoption, they attended a Billy Graham seminar. “Billy Graham pointed out to us in the audience and talked about how people have to get out of their comfort zones and make a difference in their communities. We left that night convinced that this was something God wanted us to do,” says Tom. They had been the victims of almost unimaginable abuse at the hands of their stepfather, and they desperately needed a fresh start with a loving family. These nine siblings ranged in age from 18 months to 15 years. The Gaunts decided to become that family. Tom and Jean knew they were taking on a challenge. Nine kids would be tough for anyone, but these nine children were going to be especially challenging. Several of the children have special needs, including autism and other developmental delays. Many of the kids suffer from Reactive Attachment Disorder, an emotional result of the abuse they endured. This disorder makes it difficult for the children to trust others and make emotional attachments. At the time Tom and Jean adopted them, the children were still mourning the loss of their tenth sibling, a brother named Kyle. Kyle, who was 12 at the time of his death, had always promised his brothers and sisters that he would find a way to help them escape their life of abuse, and through his death, he fulfilled that promise. When Kyle’s body was found on the banks of the White River, the children were immediately removed from their home and placed in foster care. The media picked up the story and Tom and Jean learned of the children’s plight. 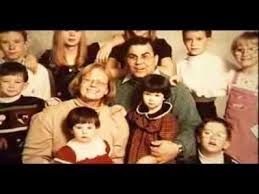 Tom and Jean feel that they actually adopted ten children, rather than nine, and in their hearts, Kyle is their son as well. The family added the last name “Gaunt” to Kyle’s headstone, and they take the children to his gravesite often. It took the children several years to trust Tom and Jean. Jean says that for years the children would ask her if they were going to eat dinner that night. Not what they would eat, but if they would eat. “We’ve had lots of therapy,” says Tom. “At first, all Jean did was transport the kids to and from therapy. In the beginning, we spent 30 hours a week, but after about three years, it dropped off.” They are down to only weekly sessions now so the family takes karate as a way to spend time together. And thrive these children have. The oldest daughter, Stephanie, recently graduated from high school. She was the first one in her family to accomplish that. She is now taking college courses at a nearby university. The younger children are doing well in school. The Gaunts admit that there are days when they wonder if they did the right thing. “Your commitment overrides your feelings on those days,” says Jean. “For every day that I question what I did, there are a million days when I know exactly why I did it,” Tom adds. Right now, there are nearly half a million children in our nation who are waiting to be adopted. Jean likens what she and Tom have done to the story about the man who is throwing a beached starfish back into the ocean. When someone tells him that he’ll never reach all of them, he throws back another starfish and answers, “But it makes a huge difference to that one.” Tom and Jean know that they have made a difference in the lives of these nine children. Tom and Jean speak to church groups through their adoption ministry. They travel to various churches, show their son’s film and tell their story. They counsel other families who have adopted or are considering it. “We’ve got some home-made children and some hand picked children,” say the Gaunts, and they wouldn’t have it any other way. Diane Sonntag is an elementary school teacher and freelance writer in Indiana. She has written for a variety of print and online publications. . 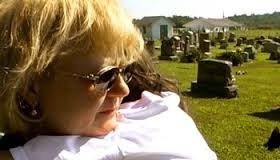 The Gaunts’ oldest biological son made an award winning documentary based on the adoption called “A Place Called Home: An Adoption Story.” The film was on PBS in January 2006. For more information about the film, visit www.aplacecalledhome.info. This story is reprinted from Amazing Grace for Families (Ascension Press). For more inspiration, check out Big Hearted: Inspiring Stories From Everyday Families. Your children will laugh while learning big spiritual lessons with Dear God, I Don't Get It! and Dear God, You Can't Be Serious.